Architect Peter Maddison returns to host the 10-part series as self-builders turn blueprints into bricks, mortar and more. 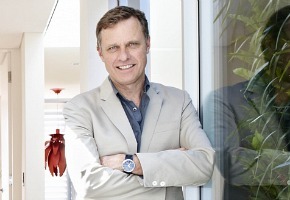 “This season Grand Designs Australia sees some truly incredible builds that share common threads of commitment and low carbon miles,” said Maddison. “As filming on the series progressed, many of the owners made the decision to give up their day jobs to either run the projects or go hands on themselves. No design is too ambitious when it comes to creating your dream home, but discovering the hard realities that complicate your plans can often be too much to bear. From one family’s dream home on a unique, inner city site with no street frontage to a dynamic, environmentally sustainable ‘sand dune’ house and a colonial-style sheep station on a 1000 acre property built from wool-derived materials, Grand Designs Australia follows not only the growth of these special homes, but the personal journeys of those building them. A truly unique brand and a massive undertaking with a shooting period of over 12 months, Grand Designs Australia is based on the award-winning UK series. Thursday, October 10 at 8.30pm.